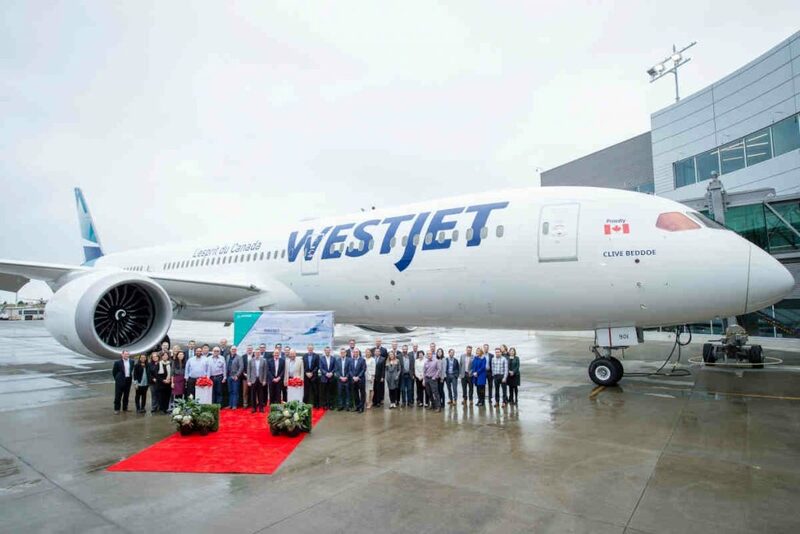 Boeing yesterday delivered the first of 10 787 Dreamliners to WestJet, marking the start of the airline’s global expansion. Having long operated a fleet of Boeing single-aisle jets, WestJet will use the 787-9 Dreamliner, designed to provide more efficiency over longer range, to serve new international routes. This spring, WestJet will use the 787-9 – the longest-range Dreamliner that can fly 7,635 nautical miles (14,140 km) – to offer its first-ever flight connecting Calgary and Dublin. The airline will also offer non-stop Dreamliner service between Calgary and London Gatwick, as well as Calgary and Paris. Boeing describes the 787 Dreamliner as the fastest-selling widebody jet in history with about 1,400 orders, which allows airlines to reduce fuel use and emissions by 20 to 25 per cent. Boeing continues to explain the aircraft’s combination of fuel efficiency and long range has helped airlines save more than 30 billion pounds of fuel and open more than 210 non-stop routes. WestJet’s 787-9 will accommodate 320 passengers in a three-class configuration. The Dreamliner’s interior, which includes large windows, lower-cabin altitude and smooth-ride technology, is to include WestJet’s all-new business cabin featuring the carrier’s first lie-flat seats. “We are excited to welcome our friends at WestJet to the Dreamliner family. The airline has achieved impressive growth with the Boeing 737 and will now use the 787’s unmatched performance and passenger comforts to profitably launch a new global era,” said Ihssane Mounir, senior vice president of commercial sales and marketing, Boeing. In preparation for its new Dreamliners, WestJet recently added Boeing AnalytX-drive digital tools, including Airplane Health Management, which provides predictive analytics to optimize WestJet’s 787 fleet operations, and Toolbox, which delivers real-time information for technicians to resolve maintenance issues and keep airlines on schedule.